Despite the unusually toasty weather recently it does now feel like Autumn is finally upon us! 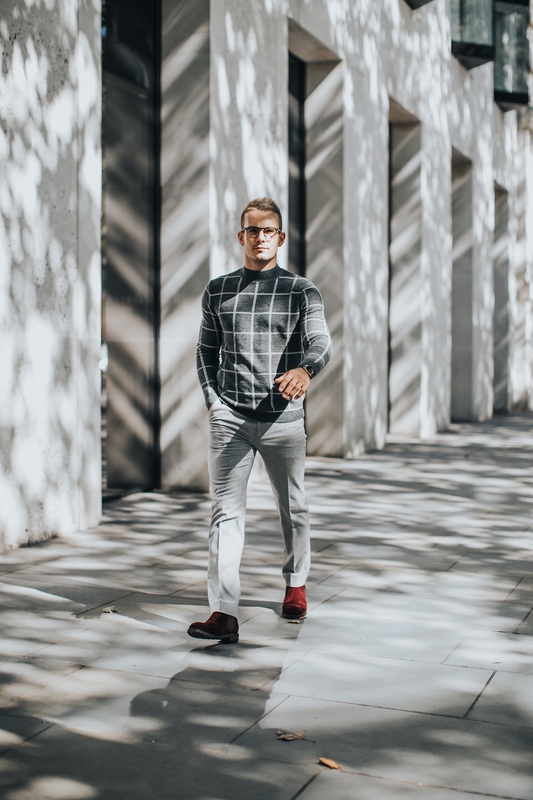 As much as I love Summer and the freedom that ‘shorts and a tee’ allows, I find Autumn fashion significantly more interesting, with more textures, layering and ultimately more choice! 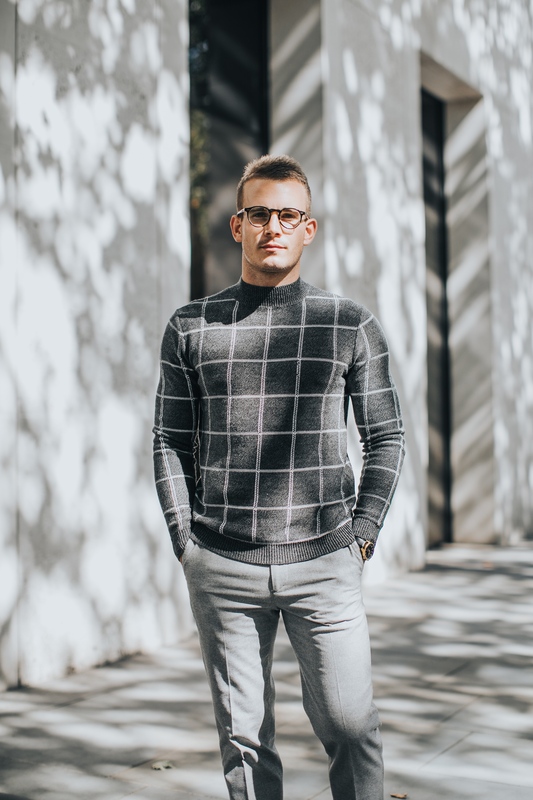 I’ve summarised a few of my staple pieces that I believe are well worth investing in for the coming months, all versatile items that can form the base to any tasty Autumn look. Whether worn on it’s own or used for layering, the chunky knit is a definite Autumn staple. 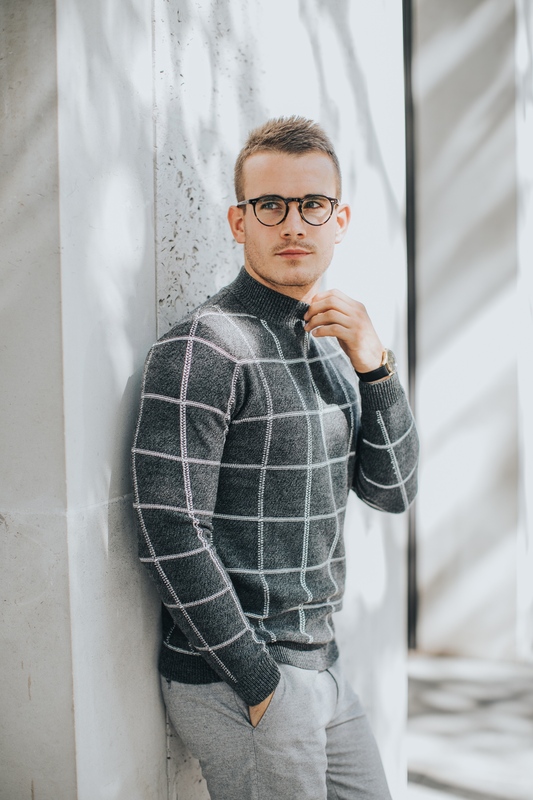 I tend to invest in a couple of these for those particularly breezy days and ideally look for a statement pattern or design. 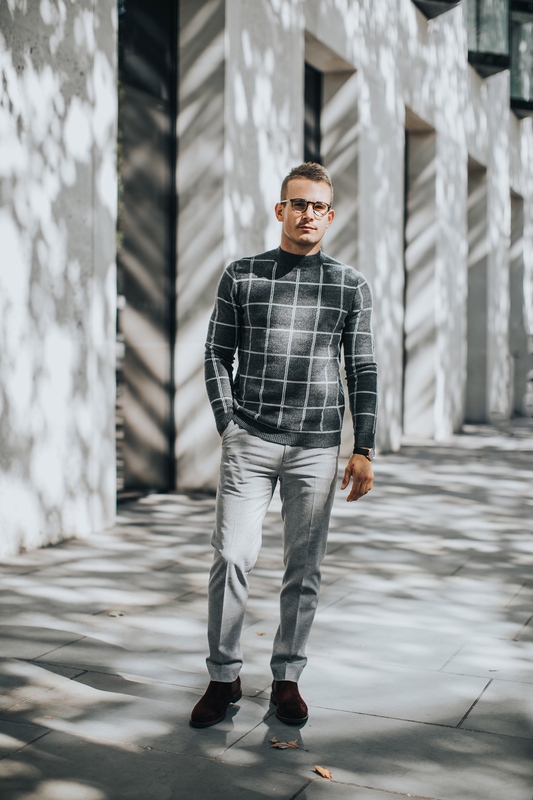 I am loving this particular checked knit and it also looks great when layered with a navy peacoat or a lighter coloured bomber jacket. 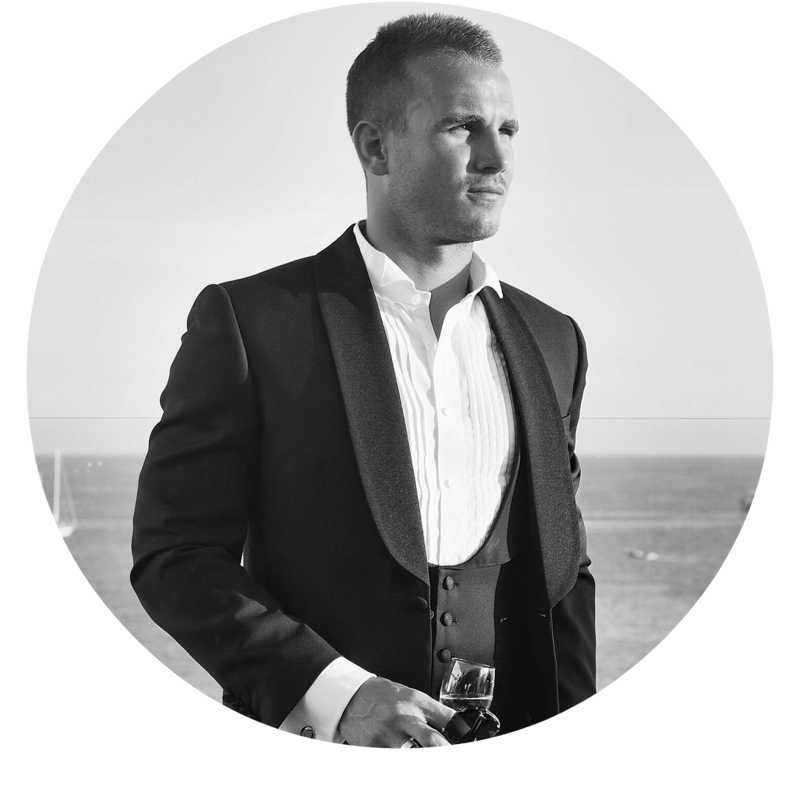 *Top Tip – Style this up with a suede bomber jacket or a wool over-shirt for the ultimate in smart casual. 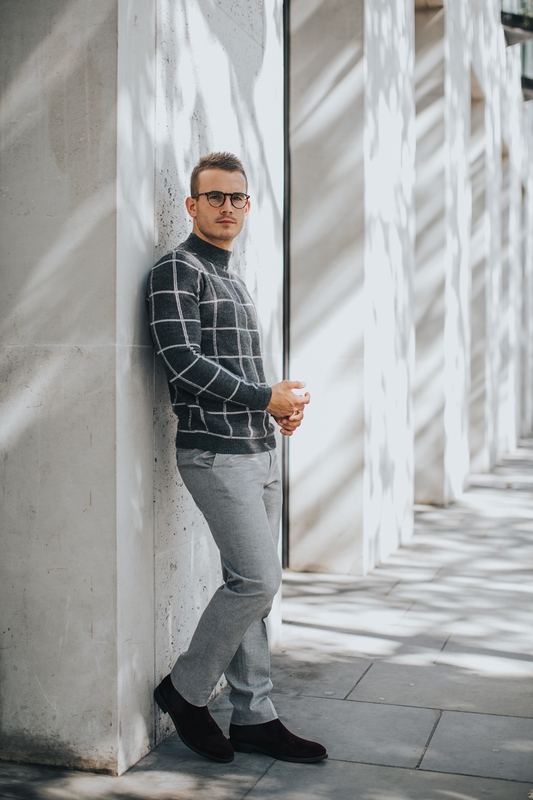 The ideal alternative to chinos for those smarter occasions, a decent pair of tailored trousers are a must for any modern day gent this Autumn. 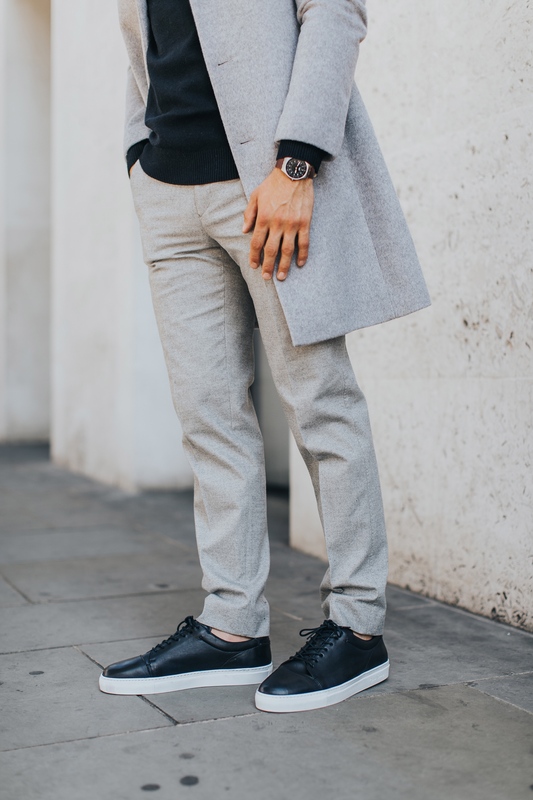 I particularly like this light grey shade, very versatile and looks great with boots for a smarter vibe or leather kicks for a more casual look. 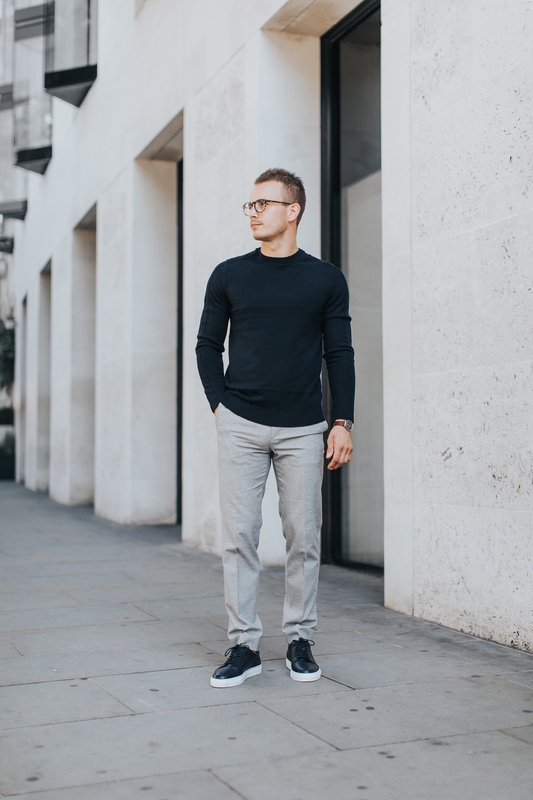 *Top Tip – The ideal pair of trousers for Weekend getaways or work trips abroad, versatile in every sense of the word and they pair well with a roll-neck, all manner of knitwear and even a classic Oxford shirt. Without doubt THE Autumn wardrobe essential. In the coming months the weather can be tough to predict and the art of layering becomes crucial. 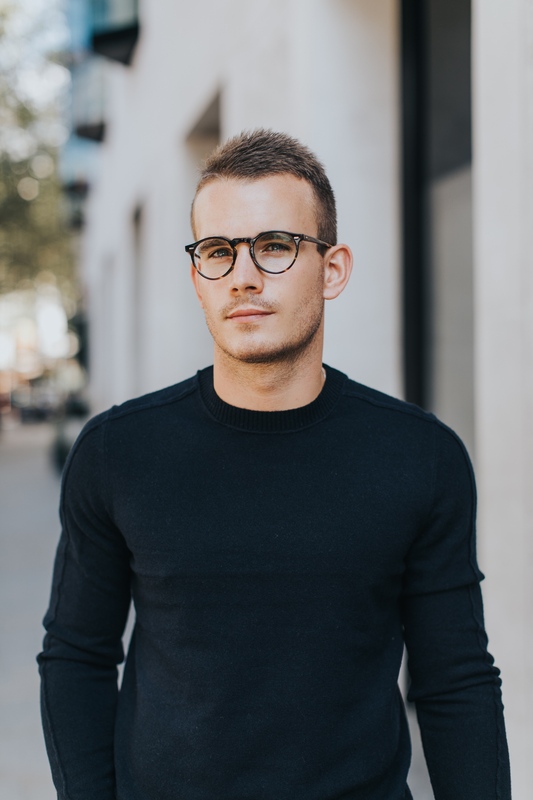 There is no better piece than a good quality merino knit and it is perfect for layering with a jacket, bomber or overcoat and can easily be worn on it’s own on those abnormally warm days. I like how the defined seams on this one add some much needed detail and navy is always a safe bet! 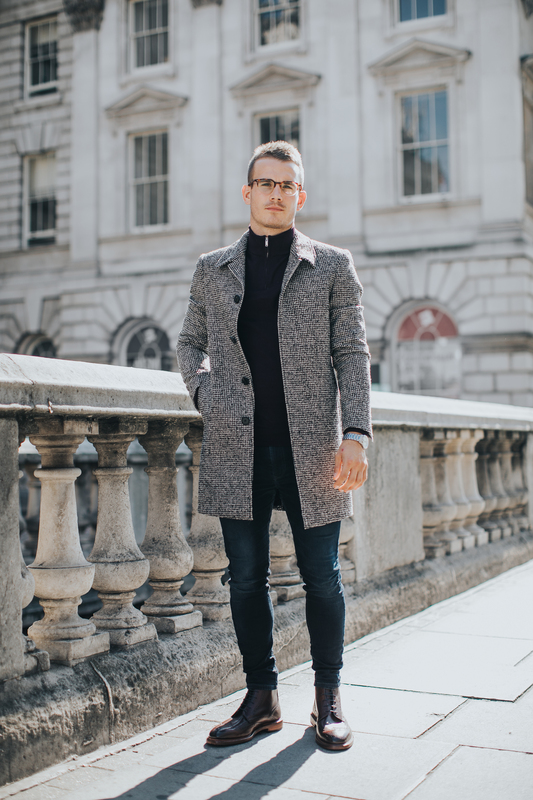 A key piece for any gent’s wardrobe and a worthy investment for the colder months that lie ahead. 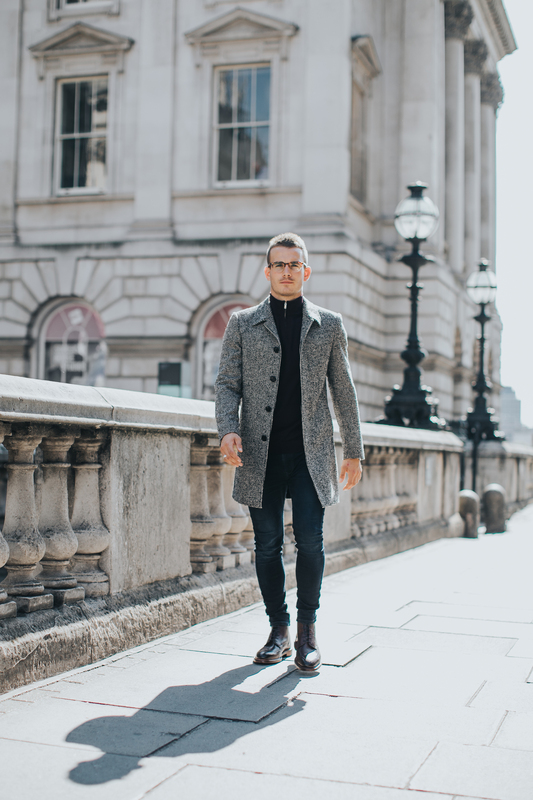 A classic overcoat can be styled to be both smart or casual and I’m a particular fan of letting your coat do the real talking and hence always look at investing in a real statement pattern like this dog-tooth design. 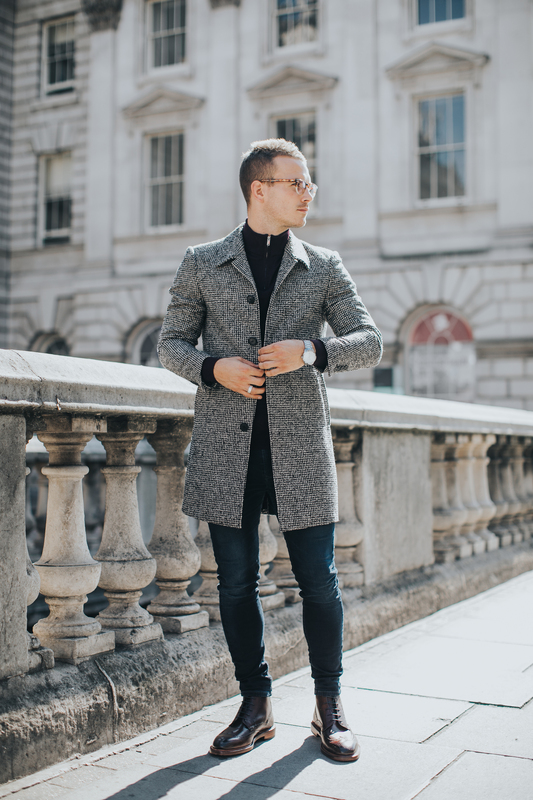 Invest in a stand out overcoat like this one to really turn some heads this season! 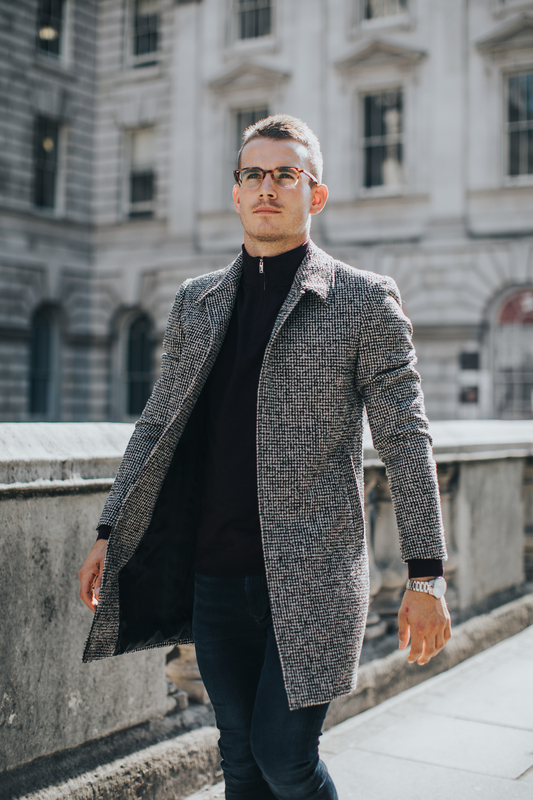 *Top Tip – Always pair this dog-tooth design with block colours and avoid wearing any other patterns – allow the coat to be the stand-out statement piece. If you’ve followed me for a while you’ll know by now that I rather like my shoes (!) 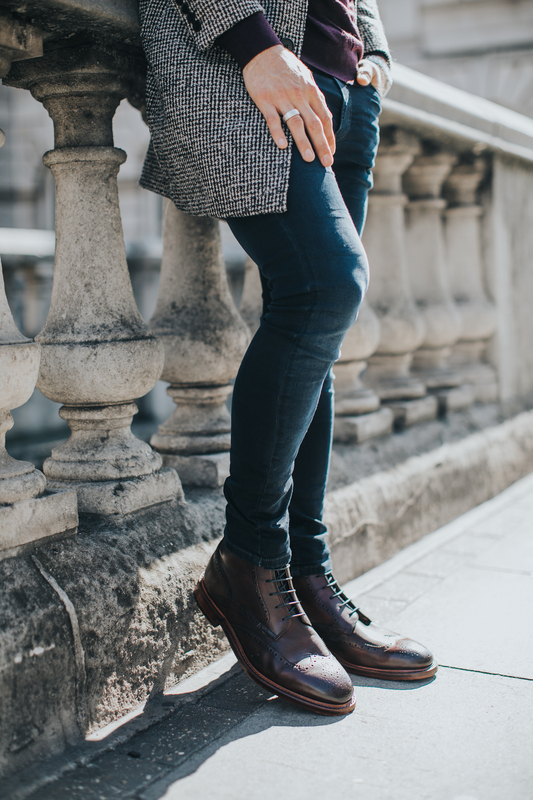 Autumn signals the time to put away the sandals and add a pair of hardwearing, weatherproof boots to your armoury. 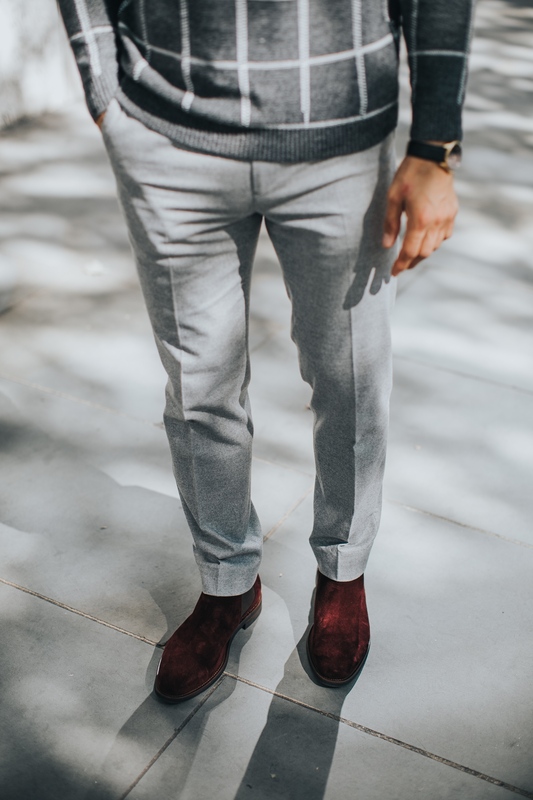 Burgundy or ‘Bordeaux’ have been on-trend for a couple of seasons now and this pair are the ultimate all-rounder for Autumn. 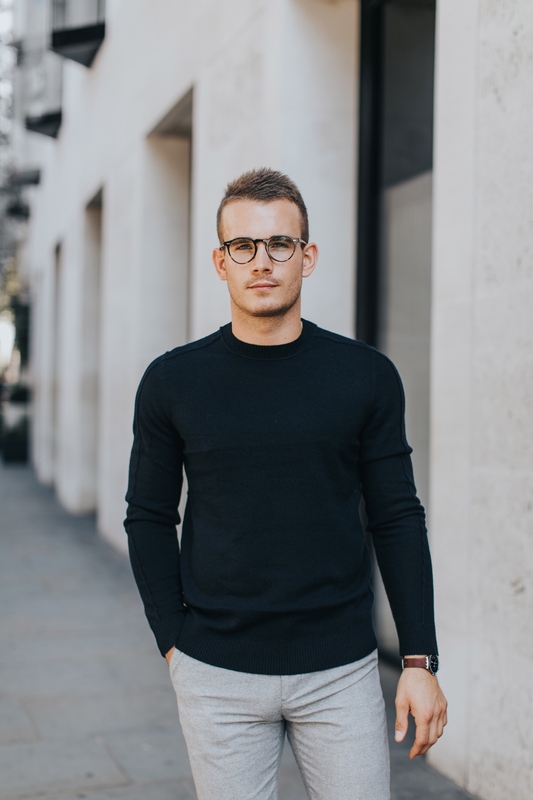 *Top Tip – Try wearing these with a ‘turn-up’ in your jeans for a more casual look or wear a pair of tailored or cropped trousers for a much smarter appearance. 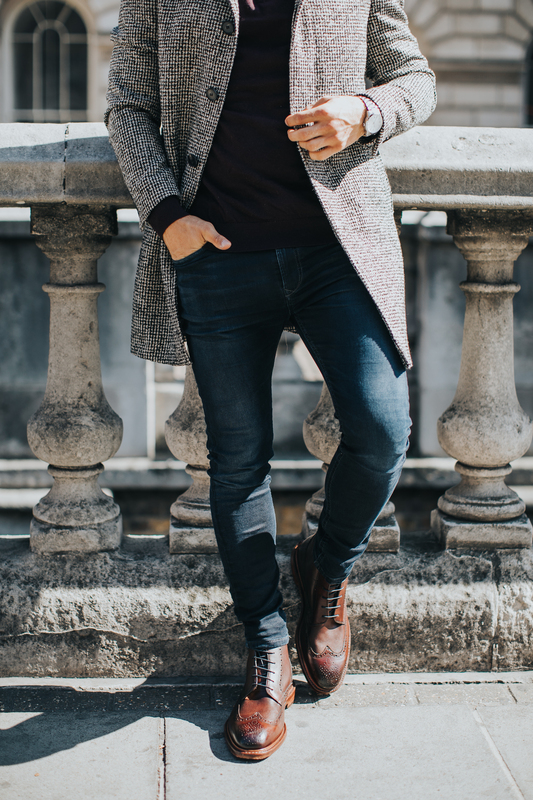 What are your staple pieces this Autumn?